Today, during Te Reo, we only had 10 minutes to learn this phrase..
and we had to skim and scan the phase and see if there were any familiar Maori words that we recognized. I recognized, "Kahurangi & Maunga". At first, I didn't really know what Kahurangi was, I had just known, since AGGS (Auckland Girls Grammar) have Kahurangi. 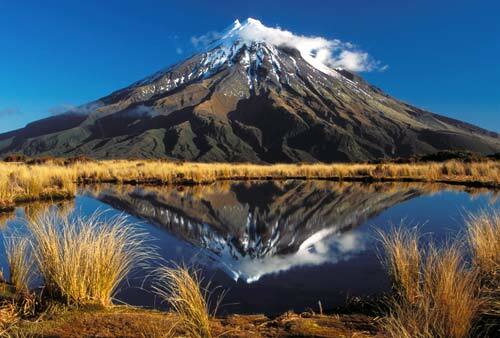 Maunga, means mountain which I had already knew. Tamati & Ash, had a small disscuccion and explained, some of the words including, 'the'. Eventually, Miss Ogram told us the actually phrase in English.."Seek that which is most precious, if you should bow let it be to a lofty mountain". Last week for Reading in Kea, we were assigned to create a Language Feature Poster for all our 'blogger audience'. (Click Image to Enlarge). 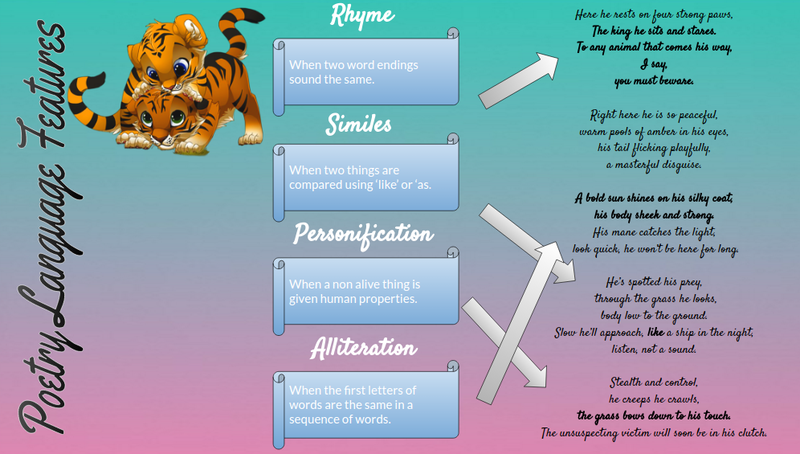 Above has, Rhymes, Similes, Personification, Alliteration and the arrows direct it for some examples of a Tiger Poem, that Miss Orgram created. Training was good, as in pretty positive. I learnt some other ‘efficient’ ways insert you paddle in the water. * How to position my top hand. & many more. I really appreciated how Tupuria King gave taught us ‘portions’ of how he would paddle. The paddle & pause circuit was fine, as well as challenging, I guess I need to adapt. On our Waka, in seat one was Victoria & when we paused, we would just skim the top of the water, which was interesting and helpful. Overall training was great! This Waka Workshop was held at Tamaki Outrigger Canoe Club! An Alaskan Malamute is a dog breed, which is originated from United States of America. 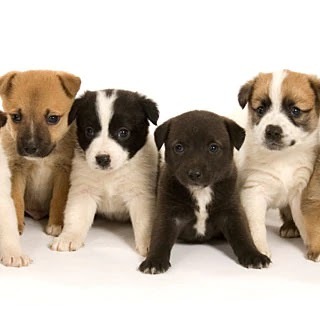 These specific types dogs are formally recognized as “Canis lupus familiaris”. Alaskan Malamutes are bred originally for having the endurance and later, becoming sled dogs. This specific dog breed, is formulated/similar towards the following other breeds including Greenland dog, Canadian Eskimo Dog, the Siberian Husky, and the Samoyed. The Alaskan Malamute is very a large, wolf dog! It comes in an assortment of colours including Sable & White, Black & White, Brown & White, Red & White, Seal & White, Gray & White. Although it’s appearance, it is strictly not a hybrid of a wolf, this specific breed originates from other domestic breeds. These dogs have the strength and stamina of sled dogs and the female's weighing 32 - 28 kg and males 36 - 43 Kg. Despite the fact that it’s satisfactory, it can get a little intellectual and a bit out of control. The height is quite a contrasting story, the female's height is 51 - 61 cm and the males are 61 - 66 cm towering. These dogs commonly stalk their prey and afterwards kill them. Obviously dogs need to eat, as it’s essential. Usually dog owners feed them dry food and meat. Grains, Lentils, Carrots, Sweet Potatoes and canned food like Kirkland grain free canned food. The wild Alaskan Malamutes eat anything they stalk, Fish etc. Food is essential for Alaskan Malamute’s as they have strength and stamina and need food/water to keep them physically going. It’s features are alluring. Large stature, wolf-like facial characterizing marks, broad shoulders and luminous eyes. Although that, it is very aggressive, vicious, atrocious but at the same time it is Playful, Affectionate, Devoted, Loyal, Friendly and Dignified. It’s fierceness can be very overprotective. Owners are very cautious with these dogs, when they get disinterested, they become quite dainty. Various amount of cases have concerns about owning a Alaskan Malamute due to the “controversy” of dogs being combative. The Alaskan Malamute has severe rules and can’t adapt to living in balmy, miniature and compact apartments in scorching weather. When training, it is quite accessible, wanderlust potential and they are impeccably intelligent. Exercise is crucial for them as they need it, they also have inclination of being very good-natured. A similar shade to red, Velvet. A squared off shape, with abounding layers and hints of fuchsia and bubblegum lays a treat, a delicious one! The length and height is approximately 13.5 cm - Length & 6.5 cm - Width, the details are very exclusive. The square object, has precisely shaded rigid piped lines of bubblegum glaze across the top right corner. The pink piped lines are unmissable, pleasant and appetizing and little did I know there was something existing and shimmering beneath. The layer beneath is a luminous white frosting. The shades are impeccable, without a reflection, the luminous white brings the life to this object and makes it more detectable. In the middle of this luscious object hides a small patch, missing. But looks comparable to a candle, which had been forced out. In the candle patch, lays small bits of crumbs coloured Velvet and slight hints of brown. Below that layer is a velvet layer with hints of fuchsia peeking throughout this layer. On each side of the squared off cubicle object, the luminous white and velvet layers are evident. But then suddenly there’s peeks of a brown layer. Chocolate, I assume, It could be peanuts with brownie mixture?, who knows. The chocolaty, brownie layer contains, no crumbs, just an untouchable thickness. On the very bottom lays the last layer of the partitioned object. The repeated layer of fuchsia, but instead of nothing on the layer, bloomed piped, oddly shaped shapes appear on the very bottom on the left side. Glistening white shapes across the very bottom, make the object more heavenly. This morning, Tom visiting Room 7 to teach us about Sign Language. He is deaf himself, which was really easy to catch on. Firstly Tom, introduced himself to the class, using Sign Language. He handed out a booklet with the contents of the Alphabet and the phrases like "How are you". We took some time to "investigate" the booklet and slightly learn a bit from it. Ongoing with the session, he demonstrated how to do the alphabet using Sign Language one time, so we could adapt and another few times. After a while of learning the Alphabet, we moved onto learning the expression "Your name what" (yes, it isn't quite correct, but trust me, it is!). We continued to learn the phrases and alphabet and decided it was time to do it with a partner, and, so we did! I had Cherise as my partner and we basically were attached to it. Next was learning the colors in the rainbow, like blue, purple, green etc. We learn't purple, blue, pink, black, white, green and etc in Sign Language and it was tough to keep up, but I managed. After that, Tom gave us some test runs, he directed his finger at a certain color and we used Sign Language to present it. After learning the colors, we learn't about the family names. Mum, Dad, Sister, Baby, Boy, Girl and Brother, again, they were all so complicated (maybe I'm overacting) but I still managed. Now it was time to learn the numbers in Sign Language, which I thought was simple. People basically already knew most of the numbers, until it came to 6, 9 & 10. Those numbers were convoluted, but in the end, I 'strived for success'. The next part of this sessions was learning the animals, I think I was pretty desperate to find out what a dog would be. We learn't a variety of animals, including, Fish, Shark, Dog (YAY! ), Penguin, and many more. I enjoyed that activity and it was now time to present our learning in class. Tom asked in Sign Language "What is you favorite animal", and we would use what we have learnt and present it in a circle. Tom asked a final question "Do you have any questions before I leave", and this wasn't using Sign Language, Room 7 was astonished, I guess. Finally, everyone had their own questions & Tom gave the answers. Overall the day was fascinating, we enjoyed learning all about Sign Language & will definitely cherish that day, on forward. From the beginning of this week, we have been learning about caring for our animals and some ways to protect/keep our pets safe. My reading group, Kea, learned about SPCA & way to take care of your pets, what to expect & how to keep them safe. Kea is now in the process of creating a flip-book. My Maze Game relating to Sustainability! In the context of Sustainability I have designed and produce a Maze Game for 10 to 13 year olds to be used to solve the problems by creating a maze game about traveling through clean streets and avoiding untidy (Vandalised) streets. I see nothing. But I'm optimistic! I am ambitious & faithful. I am ambitious & hopeful. I say we continue to strive for success! I am ambitious & faithful! Although I didn't attend the Camp Meeting/ Home School Partnership, I have heard a lot about it recently. The Camp is a go! for Term 3 and it is time to fundraise. I itinerary seems like an amazing 5 days of camp & I'm pretty sure everyone will enjoy Camp! 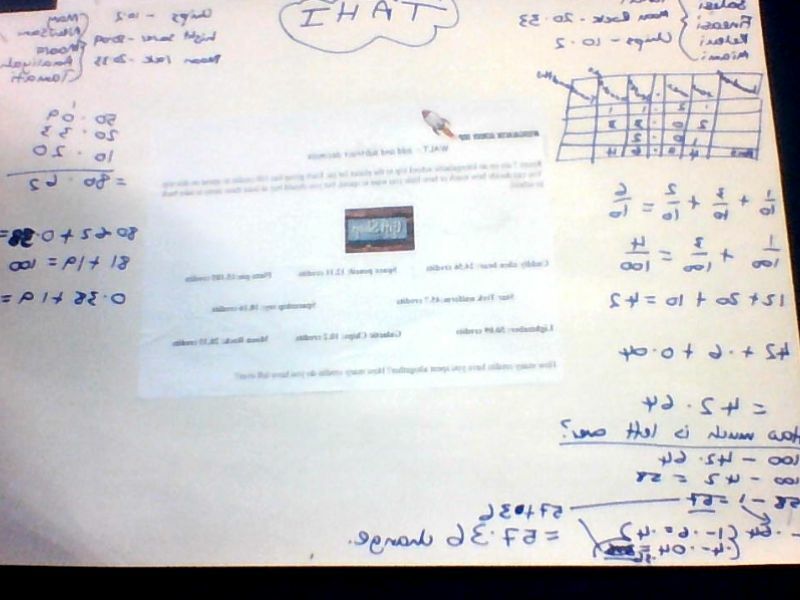 Tahi, learnt about the above & on the top image is how our group worked it out. We were assigned to choose 3 items that we would like to buy, with credits & we have to calculate how much it costs out of 100 credits and how much change we have left. Today during fitness, it was time to step it up a notch! Despite the fact that is was raining, it was time for the BEEP TEST! Room 7 walked to the hall and did their stretches. Jumping Jacks, Arm Stretches, Leg Stretches, etc were all included in today's stretch, but it was now the Beep Test. 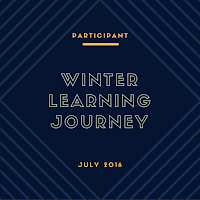 We stood in a line, as a class, while Mrs Tofa & Miss Ogram start the audio of the Beep test and we continued to run where we were assigned to go. At level 1.1 I couldn't run, I was wondering why. The reason was because my shoes were still quite wet and weren't good on that surface, so I quickly slipped them off and continued. One by one, everyone exhausted by the test and I was trying at level 5 -6 I slowly faded and started to give up, up I kept the thought "aggression, good aggression" - which I learnt from a Gym "Greyman Solutions". And I eventually gave up at Level 6.4. At the end, Loto was the one with the highest level. The support from the class was probably supportive! As well as Luisa, she was amazing, she had determination in her eyes! Fitness today was absolutely amazing! I hope tomorrow will be just as 'jam packed' as today! So recently, the house captains and a 'chunk' of other student were selected to be apart of the Peer Mediating Team. Yesterday, we had just finished our Tuesday meeting. At the beginning, we talked about different scenarios that could lead to a conflict in school grounds. There were some including, stealing my money, someone mocking me, someone pushed me at my rugby game and etc. We also had short discussions about the ways to mediate around those scenarios, how to react and some ways which you can help students to prevent conflicts. In the middle of the session, we did a bit of role - play, which includes ourselves finding a partner and picking a scenario which we would be able to reenact. My partner was Siosaia, from room 10 & we had scenario 3 (someone swore at me). We created a plot, which included myself turning around while Saia approaches me & say's a swear word (we replaced the word with "Thank You"). We had to create a negative side and positive side. Overall the Peer Mediator Meeting/Session was truly amazing. I enjoyed learning extra about conflicts and the correct way to deal with it. Today, I created an add-on for my Shape Inforgraphic. Myself, Soane & AliJon used the shapes Diamond, Parallelogram, Octagon & Hexagon. I taught each student how to create an Google Drawing, Insert a table, label the Google Drawing, Add color to the work and insert text boxes. Today (Monday 8th), Room 7 had P.E & we played Netball! Miss Ogram (our new Student Teacher) had her own individual group, she taught her group how to pass and the different types of passes, as well as Rock, Paper, Scissors. Mrs Tofa was the umpire and she had her group too, they played 6 minute games. Before we commenced we had a very short disscussion about the guildlines. When I played at the position WA my 'opponent' was Alfred and you may not know, but I'm quite a tiny girl and it was difficult at times but I pulled through. The session was complete and we had a debriefing of what we had learnt. At the end of day, it was a very successful netball session. 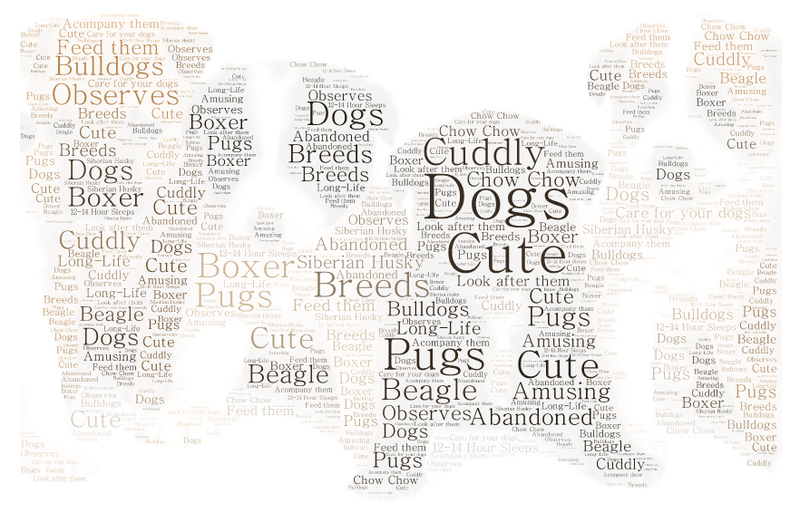 < This images is word art :). Personally I love Word Art, seeing word art "speaks" to me. These words were chosen precisely! 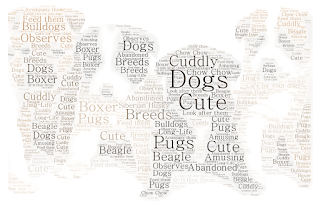 I hope you like this image of Word Art. This here is the actual image I used! Dogs are adorable! A few days ago, it was an average cold & windy day! The Saturdays breeze & coldness! I was there, for one thing, A meetup with my best friend Maara and her sister Manuae. Recently it was Manuae’s birthday and my sister and I wanted to do something special and have a memory which is an unforgettable experience. Meet ups at Sylvia Park would be an excellent way we could remember that day! 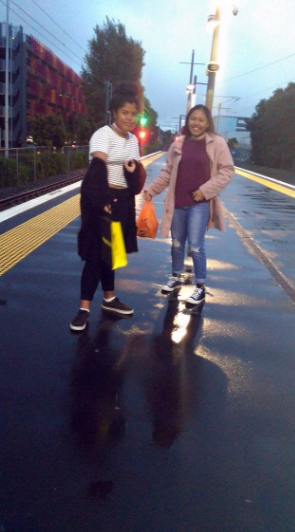 My sister and I arrived at Sylvia Park with a bag & money, expecting to see Manuae & Maara the minute we walked inside, unfortunately we didn’t. Instead of waiting outside in the misty cold air, we walked inside and bought snacks from the great big, yellow store, Pak’nSave. We walked inside, looking very hmm? Odd! But still, we waltz (not literally) in and bought the snacks and partly a present for Manuae! It was at least 11am by now & we (as in my sister & I) figured out the Manuae loves Japan and Japanese foods, so again, we walked into Japan Mart & explored around the foods, beauty products and candies. Finally we saw something Manuae would definitely like, a Green Tea Kit Kat packet. It also looked delicious but I couldn't eat it. When they arrived, we were a tad late for the beginning of the movie, Beauty & the Beast! We waited patiently in the cue and all pitched in 20 dollar notes for our movie & popcorn etc.. “Second cinema on the right” the ladies replied to us when we handed the tickets. We were certainly confused as there was multiple cinemas & we accidently walked into the party room. The ‘director’ told us in cinema 3, so we had a chuckle and walked towards cinema 3! We we arrived inside the cinema, the loudness of the speakers were actually soothing, we went to our seats. In the top row on the left was our seats, I didn’t enjoy the seating range but the funny thing is, we picked the seats! We sat down, continued to eat, watch the movie and enjoy our special time together! When the movie was complete we stayed until the lights turned on. We also decided to be “rebellious” and take a few snapshots of us in the luxury seats, I just loved them! We walked outside the cinema to see another friend and her name was Ana, she had waited an hour and a half to see us! We all said our hellos and set off for a delighting meal. We wandered around the food court and saw it was packed so we set off for an adventure to Burger King, despite the facts that it was raining! Well the day was a really entertaining, pleasant and enjoyable day! I enjoyed meeting Ana & bonding with Manuae, Maara, Aarmione & Ana, it was a really great memory and I’ll cherish it! Today Tahi (my math group) had a challenging math question. I worked with Vainikolo & Keleni to solve the question and I slightly helped them understand the problem and solution. The problem was actually pretty apparent? until Mrs Tofa, decided to be quite funny and change some numbers towards the problem (which I had already solved and prepared to present)! But I still got the answer with the help of my reliable workmates. Maths is very enjoyable for me and I try my hardest to strive for success. Today, I have worked with Pinomi & AliJon to create a Shape Inforgrpahic. It requires colours, shapes and words. I would like to wish the most happiest 13th Birthday to my dearest Best Friend Luisa! She is an amazing person, she is very energetic, enthusiastic and ambitious! Luisa, you are my bff & I just wanted to say, on behalf our our "squad"! "Happy Birthday to you, Happy Birthday to you, Happy Birthday dear LUISA, Happy Birthday to yoouuuu!".. Thank you our beautiful memories, pictures & funny moments we have had with you! May God continue to bless you with many more years to come. Above is a Google Drawing about a specific dog breed named "Alaskan Malamute" 🐶. I find these dogs very cute, as well as you, maybe. But do not underestimate them! For maths today, the Tahi groups was assigned to do a Measurement Test. The measurement test sure was exhausting and difficult, but I was determined to finish the Measurement Test as Maths is my favorite subject. My group Tahi were focused on the test while the other group focused on a math problem that included weight! Recently it was Manuaes birthday & we had planned an outing! Sylvia Park was definitely the best place to celebrate! We watched a movie, ate a lot, walked around & explored stores. It was a very lit day!